A few weeks ago, I began a series of posts on what land buyers should consider before purchasing land. Remember that we call the research to ensure that a property satisfies all of the buyer’s criteria “due diligence.” Last time, I discussed due diligence on access, boundaries and deeds. Today, we’re on to the next group of considerations. The location of the property is an important consideration. The owner’s primary use, whether it’s for investment, recreation, second home or a blend of these uses will dictate where the property is located. For those seeking a recreational get-away that can be visited on the weekends, many buyers try to limit the travel time to about a half day’s drive. That way, one can sneak out of work on a Friday afternoon, drive about four hours, and be grilling steaks on the deck over-looking Lake Margarita by dinner time. Other buyers, seeking more remote retreats, may only need to have a local airport within an hour of the property with someone local to drive them the rest of the way. Keep in mind that “remote” has many meanings and is sometimes more of a feeling than an actual geographic location. Timberland investors who may need to visit the property once a year can acquire tracts in any part of the country or even abroad. In the Northeast, most large (> 500+ acre) investment-grade tracts are located in the northern regions and require a good day’s drive from Boston or New York. While the actual location may not matter for timberland investments, there are three important location related attributes that timberland investors must consider: 1) a good road system for hauling forest products; 2) a variety of wood markets within the region; and 3) availability of forestry services and an established logging and trucking workforce. The right location depends on your user goals. Imagine that you are fortunate enough to find your piece of paradise. You have established that you have good access, you know the acreage and you have reviewed the deed. However, will your desired use be compatible with town or state regulations? If the intention is primarily forest management, then knowledge of town and/or state forestry laws is necessary. Each state has its own set of laws, some more restrictive than others, relative to harvesting limits, water quality and wildlife habitat protection. Adherence to certain forestry practices is required to qualify for discounted tax programs. Consult with a local forester to understand these laws and determine if the regulatory climate in that state will be compatible with your long-term goals before acquiring the property. If the intention is to eventually sub-divide the property, check the deed (again) to ensure that there are no restrictions limiting subdivision. Next, review the town zoning ordinance and site plan review process to understand what is required for a subdivision proposal. In many small rural towns, there are no formal zoning ordinances, only minimal requirements for building lot size and road frontage. However, never assume this! Always contact the town directly to inquire about their zoning and planning process or any statewide regulations that the town may have adopted into their ordinances. If you are considering energy generation, wind or solar, or communications towers, this will undoubtedly trigger a unique set of regulations. You should be prepared to hire a land-use attorney experienced in the permitting process for these projects. Fortunately, landowners of ten to twenty-five acres or more in New England and New York qualify for a discounted property tax rate for maintaining some or all of their land in an undeveloped condition. These laws are often referred to as “current use” laws because the tax rate is based on its current use (agriculture, forests, pasture, wetland, etc.) rather than their potential use to support development (residential or commercial uses). A major premise of these laws acknowledges that undeveloped land provides inherent values to society (open space, clean water, wildlife habitat, and recreation) while requiring little to no municipal services. Therefore, a lower tax rate allows these landowners to maintain their land in an undeveloped condition rather than be forced to sell due to escalating taxes. Each state administers their respective current use programs differently so contact the state revenue agency to obtain and understand the enrollment criteria as part of your due diligence. Municipal Timber Tax: Some states, like New Hampshire, have a severance tax, commonly called a “timber tax.” This tax is collected only at the time the timber is harvested and is equal to 10% of the stumpage value and is paid to the municipality where the harvest occurred. The tax only applies to volumes exceeding 10 MBF of sawlogs and 20 cords of fuel wood for personal use by the owner. Commercial Forestry Excise Tax: Unique to Maine, this tax is imposed on owners of more than 500 acres of commercial forest land. The purpose of the tax is to partially offset the costs of forest fire protection expenditures by the Department of Agriculture, Forestry and Conservation. There is an exemption for the first 500 acres. The tax averages between 35 to 45 cents per acre per year. Ben Franklin famously quipped, “Nothing can be said to be certain, except death and taxes.” Understanding your tax obligations on the local, state and federal levels prior to acquisition will go a long way in helping you manage your land investment wisely, just like old Ben. 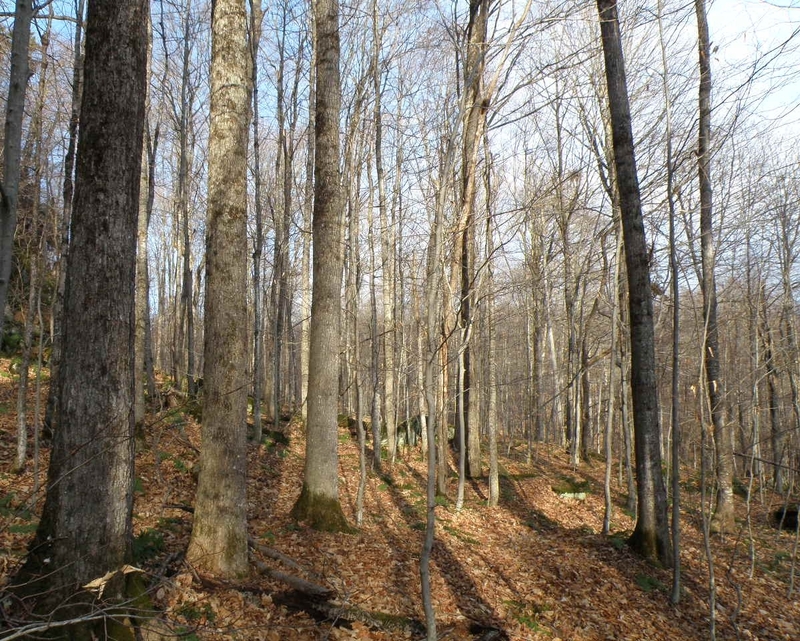 Patrick Hackley - The author is a professional forester and timberland broker with Fountains Land who has served timberland owners and buyers in the northeast since 2005.